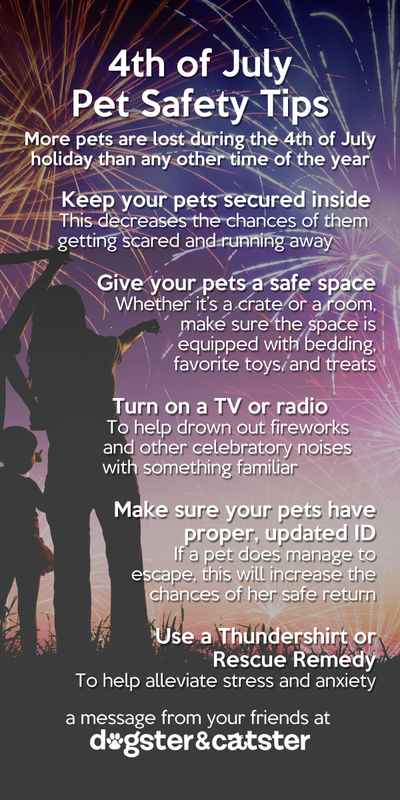 Independence Day means fireworks and chaos; here are tips on protecting your cat and her health. 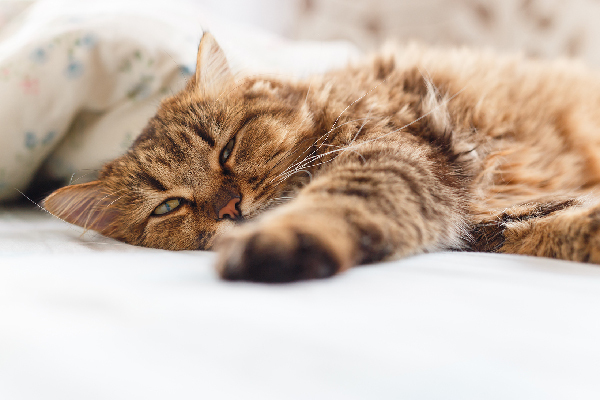 Independence Day is celebrated in a way that’s almost guaranteed to overload a cat’s senses, and that can quickly become a health issue. The constant booming of fireworks can drive sensitive or already anxious cats into a state of complete terror. 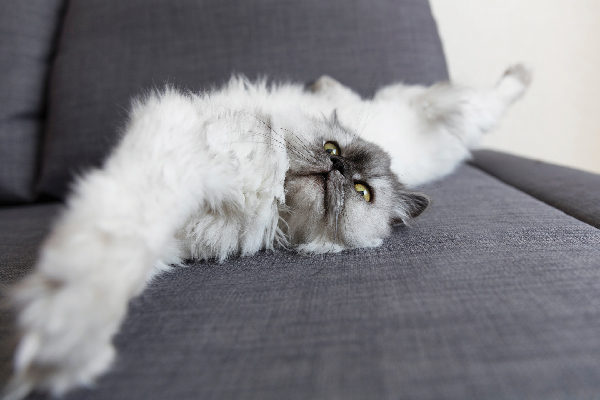 And if you’re hosting a Fourth of July party, your cat might be stressed by people traipsing in and out of the house. 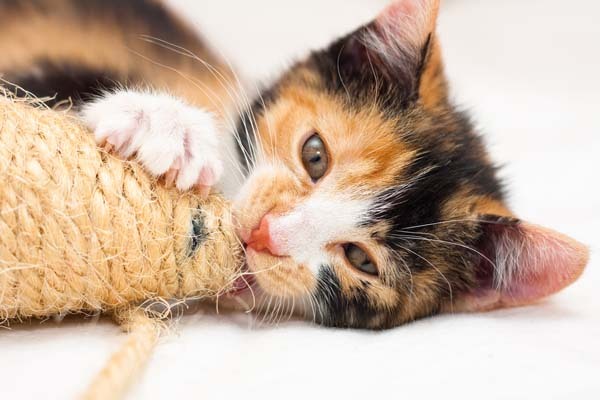 Here are five easy tips on cat safety aimed at easing your cat through the day and night. Cats and fireworks don’t play well together. If your cat is scared of thunder, she’ll definitely be scared of the nonstop booming on the Fourth of July. 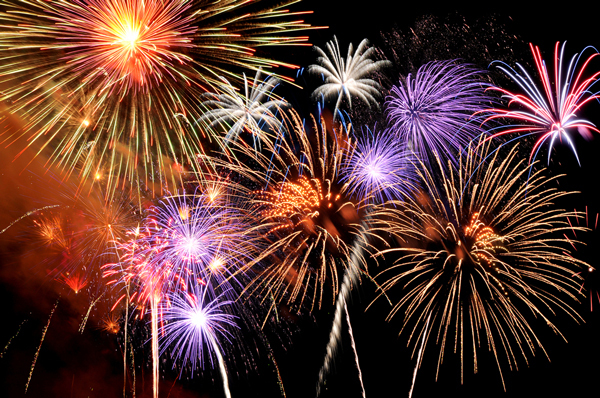 Close your windows and turn on a radio — tuned to a station that plays mellow music — to counteract the noise of fireworks. 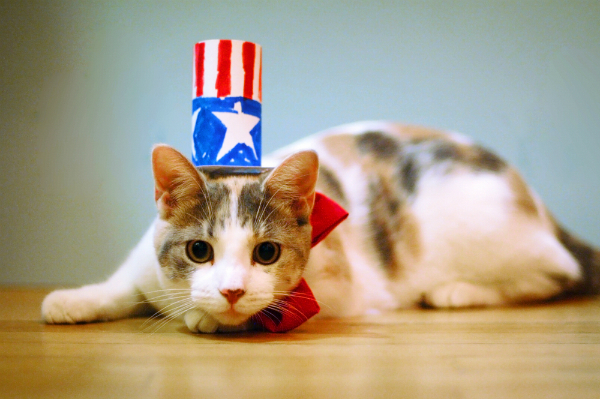 If your cat is normally an indoor-outdoor cat, don’t let her go outside on July 4. This will keep her safe from any number of dangers, such as getting lost if she bolts in panic during fireworks displays. Provide a sanctuary in an inside room of your home. Even a bed in a closet could be helpful. 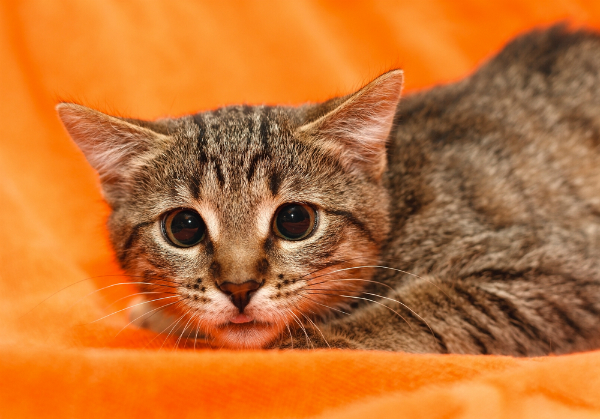 Cat expert Franny Syufy recommends that in addition to the bed, you rub a towel or small blanket with her scent and put it in the bed. Show her the sanctuary room before the Fourth of July so she knows where it is. If you’re having a party, keep your cat in the sanctuary room with the door closed for her safety. The Bach Rescue Remedy flower essence is a great treatment for temporary trauma and anxiety. I’ve used it on my cats in a variety of situations and I can attest to the fact that it works. Rub a drop or two of Rescue Remedy into the fur on top of her head before the Independence Day activities begin. If you’re home, rub two more drops into her head fur during the party or fireworks display. When everything is over, rub two more drops into her fur. Rescue Remedy is available at most health food stories as well as grocery chains like Whole Foods. An alcohol-free version for pets is also available. The Thundershirt, which has been soothing dogs through storms and other anxiety-provoking situations, is now available for cats to provide a sense of safety and well being. Recent reviews show that the device, which is designed to produce a light pressure all around the torso, is working just as well for cats as it has been for the canines. Below is an infographic you can print and share that provides safety tips for Independence Day. 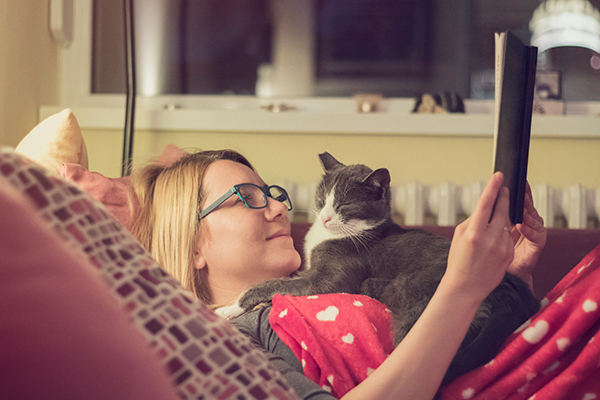 Do you know any more great tips to keeping your cat calm? Let us know in the comments!